Use this vocabulary builder to help your students learn some new words in Thank You, Mam, a short story by Langston Hughes. 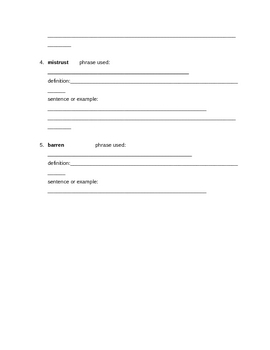 Intended to be used during reading, it includes the words with directions for students to write the phrase in which the word was used in the story, the definition, and their own sentence or example. This document is also available in the Thank You Mam All-in-One DEAL.